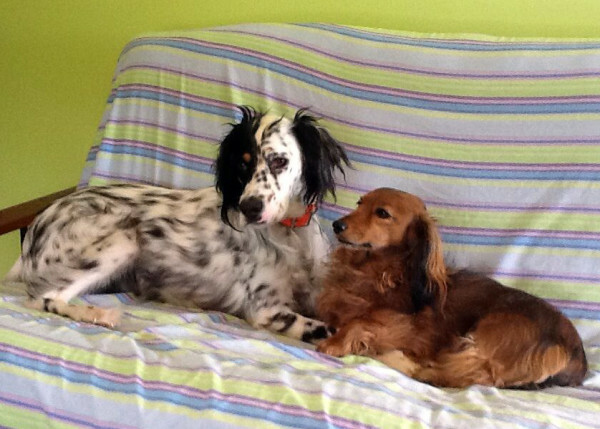 Jasper (left) and Moxie during a recent moment at their home on Enfield Road. Stone Wall Farms is visible from Enfield Road. LINCOLN, Maine — A local farmer accused of poisoning crows with pesticide-laced bread that accidentally killed a neighbor’s two dogs is facing a criminal charge and a civil investigation in connection with the deaths of the birds. Stone Wall Farms owner Al Fugazzi, 66, was issued a summons Tuesday charging him with illegally taking or killing wild birds, a Class E crime punishable by up to six months incarceration and a $1,000 fine, police said. He will not face charges in connection with the poisoning of the dogs in the April 23 incident, Penobscot County District Attorney R. Christopher Almy said. Fugazzi was issued the summons after Officer John Walsh found seven dead crows on Fugazzi’s farm as part of his investigation of the deaths of the dogs. State law prohibits the killing of “wild birds, with the exception of rock doves and wild turkeys,” and Fugazzi admitted spreading the insecticide, said Dan Summers, Lincoln’s public safety director. The state Department of Agriculture’s Board of Pesticides Control also is reviewing Walsh’s report and conducting its own investigation, Henry Jennings, the board’s director, said Tuesday. The investigation, focused on whether Fugazzi violated regulations on the use of the insecticide, likely will conclude in two or three weeks. Fugazzi declined to comment on Tuesday. One of the dogs’ owners, Enfield Road resident Tim Thornton, said he was deeply saddened about the loss of the pets but unsure whether Fugazzi committed any wrongdoing. Thornton’s wife, Ann Thornton, told Walsh that she was walking her dogs without a leash on the border of the farm field on April 23 when the dogs ran ahead and ate pieces of bread. The dogs, she said, immediately began foaming at the mouth and staggering. Both died shortly thereafter, Summers said. The bread, Walsh’s investigation revealed, was sprinkled with Lannate pesticide. That’s a trade name for methomyl, a broad-spectrum insecticide that in fatal cases paralyzes the muscles of the respiratory system and severely constricts lung openings. Fugazzi is appropriately licensed to use Lannate and had no apparent intention to harm the dogs, Summers said. Farmers also have the right to protect their land or crops against damage caused by most animals. The Thorntons did not have permission to be on the property and the farm-protection law contains no provisions for pet dogs, Summers said. Fugazzi might, however, be civilly liable with the pesticide control board for dispensing the Lannate improperly. Lannate is supposed to be mixed with water and sprayed, not put on bread for crows to eat, Summers said. If Fugazzi is found guilty under Title 22 of Maine’s General Statutes of dispensing the Lannate “inconsistent with the labeling or other restrictions imposed by the [pesticides control] board,” he could face a civil court fine of up to $1,500, Jennings said. Besides the farm off Enfield Road, Fugazzi owns a farm stand on West Broadway in Lincoln. 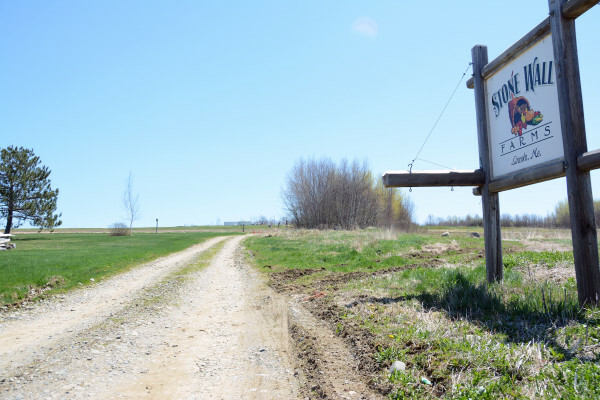 He leases the Enfield Road farmland to someone else but as its owner and manager is still legally responsible for what happens on it, police said. The Thorntons said it is common for people to walk their dogs in the neighborhood, which is near Penobscot Valley Hospital, and on the border of Fugazzi’s farmland. The typical route Thornton walked her dogs on extends from Bedford Farm Road onto an ATV path that leads to a back entrance to Fugazzi’s field, she said. Several vegetables and fruits, including peas and strawberries, are grown on the farm. It is close to Route 2 but has several homes between it and the roadway. At least one access road runs onto it. Police said the farmland has “No Trespassing” signs near its main access road entrance and rocks spray-painted with a “No Trespassing” symbol blocking another road into it, but that Thornton could not have seen those from where she was walking the dogs. She said she wasn’t aware of any spray-painted rocks. Since the incident, someone placed orange cones and tape as blocks on the main access road, Tim Thornton said. Lincoln does not have its own leash law, Animal Control Officer Nicole Murchison said. Under the state’s dogs-at-large civil law, owners who let their pets roam free can face fines of $50 to $250, but typically get a warning first, she said. The hardest part about losing the dogs, Ann Thornton said, is no longer feeling their happy presence. The Thorntons’ loss is compounded by having put down another dog due to old age about three weeks ago, she said. “It is a loss in the family,” she said. Fugazzi is due in Lincoln District Court on June 7.